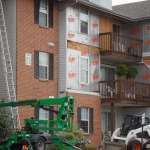 We are your leading single-family home improvement and multi-family complex specialist. 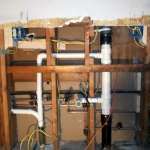 We have over 20 years of experience in home repair and rental maintenance. We serve the greater Dayton area with pride, and do our part to make our region better one customer at a time. We are experts in the following skilled trades, repair, and installation of HVAC, electric, plumbing, interior and exterior painting (including power washing), and construction. 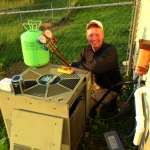 Great Maintenance specializes in heating installation, service and maintenance, air conditioning installation, service and maintenance, and complete system tune-ups. Great Maintenance will expertly diagnose, repair and service your heating and air conditioning systems, central air or HVAC. Great Maintenance surpasses the competition when it comes to the installation and repair needs of residential customers throughout the Dayton area. 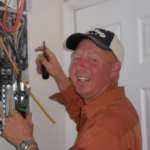 We expertly handle everything from ceiling fan and outlet installation to electrical service upgrades. Great Maintenance repairs and installs water supply lines, drain lines, gas lines, water heaters, faucets, garbage disposals and toilets. With over 20 years’ experience behind our name, Great Maintenance will provide you with the absolute highest quality workmanship and a durable finished product. Great Maintenance is your answer for quality drywall hanging and finishing, whether for a single room or an entire property. Great Maintenance installs and maintains residential and commercial gutters, downspouts, gutter cap/leaf guard and drain tile. Our thorough power washing process improves property curb appeal, helps prevent costly repairs, removes harmful molds, stains and allergens and extends the life of your property. Give your outdated bathroom or kitchen a facelift with our complete remodeling service. Whether you simply need a new toilet, sink faucet, cabinets, countertops or a complete overhaul, Great Maintenance will give you a top-quality result. Great Maintenance can add a beautiful, value-increasing addition to your home by finishing your basement. Whether you just need drywall hung and flooring laid or electric installation and painting, we can turn your vision into reality. Our experience with all types of decking materials can create any size deck that will stand the test of time. Whatever your need, we can design and build it. Great Maintenance takes pride in our finished flooring– interlocking laminates, laminate, engineered wood, hardwood and ceramic/porcelain tile. We’ll leave you with a clean, long-lasting, professional look. Great Maintenance is your mold removal expert. You can trust us to put your health first when dealing with your mold and mildew problems.